Correct, this is expected to be fixed in the next Hassio Supervisor release. I’m not sure what that means. My add-ons are build on native CPU services (e.g., the aarch64 add-on is build on a real aarch64/arm64 cpu/machine). Interesting, does this mean we have a better way of implementing the Xiaomi dafang cameras into hass now, without the laggy rtsp stream? 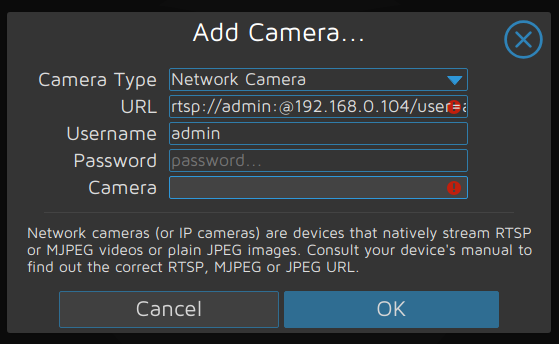 How du you add an normal USB camera hooked up to a pi and with HASSIO on it? @Frenck: thanks for providing that add-on, really great work ! Is there a chance to get an HA event when a motion was detected (ideally with snapshot) ? I’m aware that motionEye has the the detection option but I don’t wanna use the mail notification. I have motionEye running on another raspberry pi in my system. I assume there is not way to point to that machine to implement the Add-on? Having said that the Hassio install appears to run on Alpine Linux platform that does not have apt-get or pip commands implemented to install motionEye. Any leads are most appreciated. I can’t get this to run. What are the certfile and keyfile and where do I find them? If you don’t have ssl set ssl to false and then you’re done. Thank you teachingbirds, setting ssl to false has done it. The motioneye is not coming up on the left panel though? I can open the “Web UI”, which opens on the HASSio IP address so everything appearst to be working… How do I get it do show in my left panel of HASS? I saw that but thought it was for including each camera into the “overview” tabs. it works perfect , thankyou! this is in order to be able to capture or show , pictures , when an 2interest" event occurs . the pictures are captured , but the push camera is not working , no idea if is a HASS problem , or some limitation on the addon . I have managed to find the RTSP URL’s for my two camera’s which are XMEYE cameras. I can successfully open these steams in VLC. However when I try and enter the URL in motionEYE it does not work. @g.nigro Thank you very much! I would have never figured that out without your help.